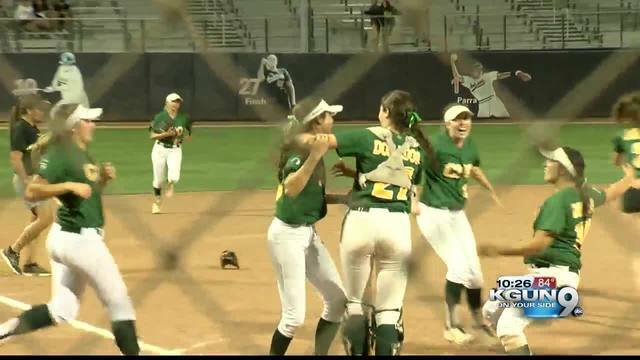 CDO softball advanced to the state semifinals with a 7-0 victory over Salpointe, Thursday night, in the Class 4A state semifinals at Hillenbrand Stadium. 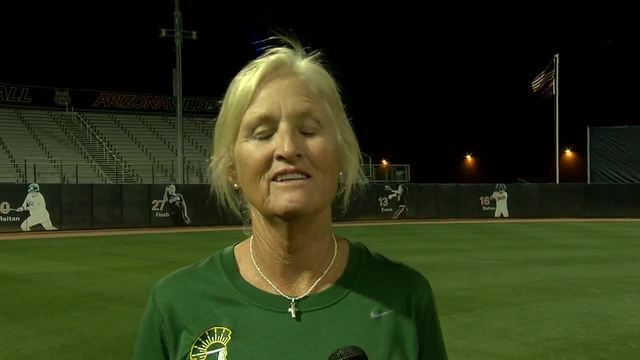 "Salpointe is a great team," said CDO heach coach Kelly Fowler. "When you play a team 3 times, it's always kind of scary because you've seen each other so much. But our girls had a lot of confidence, we worked hard this week and it showed." The Dorados, now 29-4, jumped on the Lancers (21-9) with a two run first inning. CDO scored five in the sixth inning to break the game open, thanks in part to Anya Gonzalez's 2 RBI single. Gonzalez also had an RBI in the first inning. Amya Legarra was the winning pitcher for CDO, who also got good defensive plays from third baseman Jenna Martinez, and left fielder Jordyn Quevedo. The game was originally supposed to be played in Phoenix, but was moved to Hillenbrand Stadium since it involved two southern Arizona teams. "I'm just so happy that this game was in Tucson," said Fowler. "It's been a long time coming that we got this game here, and not in Phoenix, so as you can tell, it's great for Tucson." The Dorados, who have won eight state championships in school history, will play Sunrise Mountain, Tuesday night, in Tempe, for the 4A state championship. Sunrise Mountain defeated the Mustangs, 5-4 in their semifinal. CDO and Sunrise Mountain will enter the game with a combined 49-4 record.